Make Your Yard Work for You…and the Earth Too ! Ramsey County Parks & Recreation Sponsors Puppet Shows at Schools! BOOK YOUR SCHOOL’S SHOW NOW! Ramsey County Parks & Recreation’s Soil & Water Conservation Division is responsible for natural resource protection and management and dedicated to the wise stewardship of soil, water, and habitat within Ramsey County. Since one of their goals is to educate residents, they are partnering with author, licensed teacher, speaker and self-proclaimed “lawn chair gardener,” Dawn Pape to educate and entertain school audiences about native plants and pollinators. To have Ms. Pape visit your school, simply click the link to sign up! This 45-60 minute presentation is absolutely free to your school and she is happy to perform up to three shows per day. Click HERE more information about the puppet show based on her book Mason Meets a Mason Bee. This show is 45-60 min. long and geared for K-3 graders. Please let Ms. Pape know the length your school prefers. A maximum of 3 classes (approx. 80 students) is the recommended maximum number of students per performance to ensure that the students can see the hand puppets. An area approximately 12 ft. wide x 6 ft. deep to accommodate the puppet theater is needed. Electricity is used to power Ms. Pape’s equipment so a power outlet that can be reached with an extension cord is needed. The theater takes about an hour to set up and take down, so Ms. Pape likes to be stationed in one place and have the students come to her. This show covers a variety of Life Science standards, especially substrands pertaining to life cycles and food webs. Ms. Pape is happy to emphasize concepts that you specify. 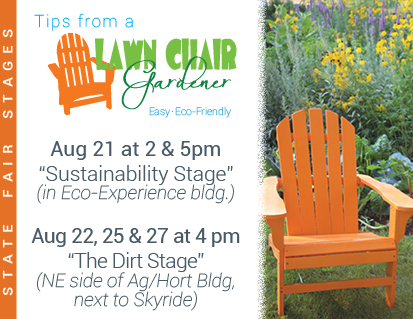 If you have additional questions, call 651.485.5171 or email dawn@lawnchairgardener.com. This entry was posted in Gardening on November 3, 2018 by Lawn Chair Gardener. This entry was posted in Gardening, Pollinators on March 29, 2018 by Lawn Chair Gardener. When you think of the word “bee,” what springs to mind? If you said “sting,” “yellow and black” or “honey,” you are certainly not alone with your word associations, but you are 90 percent incorrect. Why? Because what most people associate with bees, only applies to social bees, such as honey and bumble bees. And those types of bees make up meerly 10 percent of the world’s bee population. The other 90 percent of the world’s bees, an estimated 20,000 species, are solitary bees. This means that they live and work alone; they do not divide the labor like social bees. The female solitary bees are essentially “single moms” that find the housing, lay the eggs and provide for their young. The males live a short two weeks as adults and aren’t around to help. As for the “busy as a bee” saying, let’s give credit where credit is due: solitary female bees are the busiest and we have over 400 species of these unsung heroes in Minnesota. The fact that solitary bees don’t have a worker bee on special assignment to defend the nest makes these bees very gentle, virtually stingless. Even if a person were to get stung, the sting is more like a mosquito bite and there are no known allergic reactions to these stings. Solitary bees are also not just yellow and black. In fact, they exist in a rainbow of colors and sizes ranging from less than one-sixteenth of an inch to over an inch and a half. Solitary bees do not make honey. But what they lack in honey-making skills, they make up for in pollination. In fact, they pollinate 60-150 times better than honey bees. A person might consider these bees to be “Rodney Dangerfields of the bee world;” even though they are incredible pollinators, they just get no respect. Solitary bees’ anatomy sets them up to be amazing pollinators. They are generally hairy little critters and have a rather unsophisticated way of carrying pollen. They basically belly flop onto blossoms and cover their abdomens with dry pollen. They are a mess! As they fly to the next flower, pollen scatters everywhere. Whereas honey bees wet the pollen so it doesn’t fly around, and pack it neatly in the pollen baskets on their legs. Honey bees are much more efficient at collecting pollen for themselves, and that’s exactly why they are less effective as pollinators. As you probably realize, pollinators are in peril and have been making headlines. Strangely, most of the discussion has been about the famous honey bee which accounts for less than 1 percent of the world’s bee population. Solitary bees’ populations are declining rapidly too, but they are much harder to study because of their illusive nature. As a society, we are beginning to realize that we need to think about the health of pollinators because our food supply largely relies on their pollination. To me, protecting pollinators is a common-sense form of self-preservation. According to E.O. Wilson in “The Forgotten Pollinators,” Eighty percent of the species of our food plants worldwide, depend on pollination by animals, almost all of which are insects. Stay tuned to my upcoming columns where I detail how to protect pollinators and how to raise bees in your own yard — no special equipment required. This entry was posted in Pollinators on March 22, 2018 by Lawn Chair Gardener. This entry was posted in Gardening on January 5, 2018 by Lawn Chair Gardener. Even though I call myself a “lawn chair gardener,” my aim is not actually to promote laziness, but to and make life simpler by working with the Earth’s natural processes, rather than against them. I started on my journey over thirty years ago when the lake I grew up swimming in was no longer swimmable. Seeing the Earth’s imbalance motivated me to start changing the status quo—literally in my own backyard…and front yard too! And since most land in this country is privately owned, our actions can make a big impact—either positively or negatively. This entry was posted in Gardening on November 29, 2017 by Lawn Chair Gardener. This entry was posted in Gardening on September 28, 2017 by Lawn Chair Gardener. Regardless of whether you grow flowers or vegetables, gardening can help to improve your health in a variety of ways. Working in the garden has spiritual rewards, eases stress, improves your mood, and provides exercise. In addition, gardening vegetables gives you access to fresh, healthy produce. It’s clear to see that gardening positively affects your life in every aspect. Being able to get your hands dirty while digging and actually creating something can provide some people with a spiritual calmness. According to Rodale’s Organic Life, “mounting evidence shows that a number of health and behavior problems, including anxiety and depression, are directly linked to the amount of time you spend outside.” Gardening is a sensory experience that connects people to nature, which is great for stress relief. 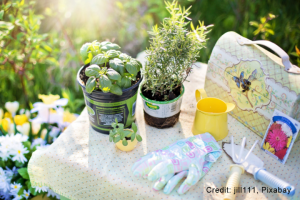 In fact, one study suggests that gardening can promote relief from acute stress. This entry was posted in Gardening on July 13, 2017 by Lawn Chair Gardener. As background, on Wednesday, March 29, the Omnibus Environment bill, Senate File 723, passed the Senate on a vote of 36-30. Two DFLers voted yea: Senator Eken from Twin Valley; and Senator Tomassoni, from Chisholm. On Thursday, March 30, the Omnibus Environment bill, House File 888, passed the House on a vote of 80-53. Three DFLers voted yea: Rep. Ecklund from International Falls; Rep. Marquart from Dillworth; and Rep. Metsa from Virginia. This entry was posted in Gardening on April 4, 2017 by Lawn Chair Gardener. This time of year people spend a fair amount of time searching for the perfect gifts to make their loved ones content. Acquiring new toys and gadgets does make us happier—for a while. A new toy, or even car, is exciting as the dopamine kicks in, but eventually the brain gets familiar with the new item and searches for something else new. The “feel-good” just doesn’t last. This phenomenon is known as the “hedonistic treadmill,” or the tendency to quickly return to a relatively stable level of happiness despite major positive or negative events. This entry was posted in Gardening on January 5, 2017 by Lawn Chair Gardener. Is It Time for Yard 2.0? Americans love their lawns. And, there’s no doubt about it, lawns make a fantastic place to picnic and recreate. A tidy lawn represents social status, obligation to neighbors, and even patriotism. A weedy lawn, on the other hand, is a symbol of laziness, a social faux pas, and sometimes even considered rude. But, let’s reconsider lawns for a minute. We water and fertilize lawns so they will grow only to complain about having to mow our lawns. And what do we do with the cut grass? Bale it and sell it? Eat it? No. At best, clippings are left on the lawn so they can act as a fertilizer. At worst, the clippings are bagged and thrown away, not even allowing those nutrients to be composted or go back into the soil. This entry was posted in Clean Air, Clean Water, Gardening, Pollinators on October 29, 2016 by Lawn Chair Gardener. The busses and free shuttles still provide amazing service to the transit hub and the gate on Snelling. Or, if fair-goers are bent on American individualism, new Uber users can get up to $20 off their first ride by entering the code MNSTATEFAIR16 when signing up at t.uber.com/MNStateFair16. Uber has two designated drop-off and pick-up points: northeast end of the fairgrounds near Snelling & Hoyt (Gate 2 at 1806 Hoyt Ave.) and outside the northwest end of the fairgrounds (University of Minnesota St. Paul Campus CECC turnaround at 1890 Buford Ave.) To get home, use the Uber app to request a ride and follow the phone instructions to locate a driver. Located at Cosgrove St. and Randall Ave.
For people who love nature—and want to protect it, visiting the Eco-Experience building is a must. A partnership between the State Fair, Minnesota Pollution Control Agency and more than 150 organizations and businesses across the state, the Eco-Experience has it all. There are engaging exhibits around each turn and the “Sustainability Stage” features hourly demos/shows on reduce-reuse-recycle how-tos, healthy cooking, innovations in green technology, leisurely landscaping using native plants, transportation and more. View the schedule at www.pca.state.mn.us/ecoexperience/shows-and-demos. Before entering the building, be sure to join the West Metro Water Alliance’s campaign Pledge to Plant—for Pollinators and Clean Water near the enormous windmill blade sticking out of the ground at the building entrance. There is even a native plant scavenger hunt near the pledge station to familiarize fair-goers with suitable native plants that offer benefits beyond just looking beautiful. Inside, a 15-foot Paul Bunyan donning a new outfit and calls attention to a giant-sized waste problem: Minnesotans throw away nearly 12 grocery carts of clothing and textiles every MINUTE. Another symbol of Minnesota—hockey. Check out the Watershed Partners’ storm drain goalie exhibit to find out how to be a local legend in protecting water. This entry was posted in Clean Water, Events, Gardening, Pollinators on August 20, 2016 by Lawn Chair Gardener. West Metro Water Alliance, Blue Thumb—Planting for Clean Water® along with scores of other partners are launching the Pledge to Plant for Pollinators and Clean Water Project (bluethumb.org/pledge). Adding native (wildflower) plantings, raingardens, and shoreline plantings to landscapes increases pollinator corridors/habitat and protects water by capturing and filtering runoff. 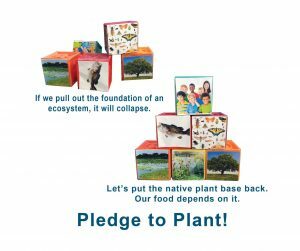 The project’s goal is to get landowners to plant 10,000 native plantings (of any size) to protect pollinators and our 10,000 lakes by 2020. This entry was posted in Clean Water, Gardening, Pollinators on May 19, 2016 by Lawn Chair Gardener. Wild bees may be the Rodney Dangerfields of the bee world. They do so much, but they “get not respect”–until now. Check out these articles! This entry was posted in Gardening, Pollinators and tagged bees, native, wild bees on December 23, 2015 by Lawn Chair Gardener. 50% Off November 19, 2015 Only! It’s Green Thursday! Shop now for eco-friendly gifts. This entry was posted in Gardening on November 18, 2015 by Lawn Chair Gardener. Schedule an Author Visit/Pollinator Puppet Show! 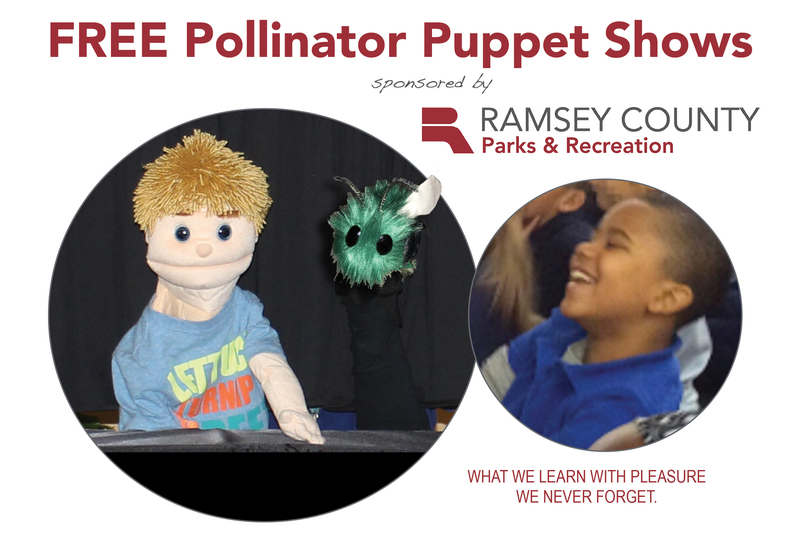 Book your pollinator puppet show now! This entry was posted in Gardening, Pollinators on November 2, 2015 by Lawn Chair Gardener. Local Author Performs Children’s Book as a Puppet Show—Fun for All Ages! 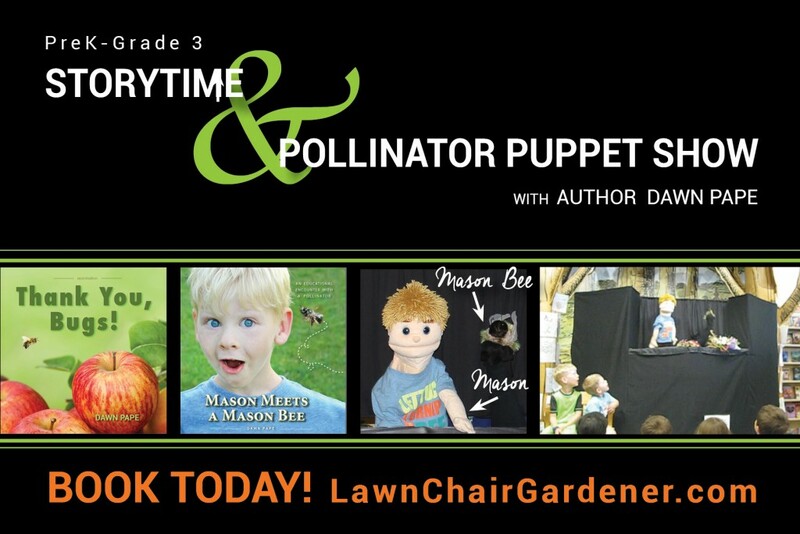 ­Barnes & Noble—HarMar in Roseville, Minnesota—Local author, Dawn Pape will share her love of nature and message about protecting our pollinators as she performs her new book, Mason Meets a Mason Bee as a puppet show on Saturday, September 19, 2015 at 11:00 A.M. at the HarMar Barnes & Nobel Booksellers located at 2100 N. Snelling Av, Roseville, MN 55113. She will also be reading her Thank You, Bugs! book with a similar message that celebrates pollinators. Barnes & Noble Roseville has extended an unprecedented invitation to author Dawn Pape to return for another storytime due to the overwhelming response to her June 2015 appearance and books Thank You, Bugs! and Mason Meets A Mason Bee. Dawn’s books and puppet show perfectly complement the Barnes & Noble National storybook of the month Bug in a Vacuum. “This time we need to order more books! We ran out last time,” commented Barnes & Noble Community Business Development Manager, Janet Waller. Mason Meets a Mason Bee is about a boy who is afraid of bees until his life is transformed by an educational encounter with a talking mason bee—yes, a bee sharing his own name! Mason conquers his fear of bees and feels like a superhero on a mission to save bees. This rhyming picture storybook performed, as a puppet show, sends young audiences into fits of laughter as it teaches weighty topics in a light and fun way. Children and adults will likely come away with new knowledge about habitat, pesticide use, native bees, and native plants. Ms. Pape got the idea to write “Mason Meets a Mason Bee” several years ago when Pape found ground-nesting bees under her deck where her then toddler, Mason, was playing. As a parent, her first reaction was to protect her son and eradicate the bees. But she soon learned that these native bees were virtually stingless and had a short lifecycle. Instead of getting rid of the bees, she just barricaded the area off for a few weeks. Although she determined the bees nesting under her deck most likely were not mason bees, she learned that there were over 400 species of native bees in Minnesota with important stories to be told. And, when she learned there was a fascinating and gentle native bee sharing her son’s name, she knew she had a story to share. She also added that not just the honey bee numbers are plummeting, but all bees—and they need our help. Pape said, “Since bees help make the food we eat everyday, it’s really in our own best interest to pay a little attention to them,” added Pape. It took almost three years for the idea for the book to come to life, but the timing is perfect. There is a lot of buzz about mason bees also called “orchard bees” because of their tremendous pollinating abilities. Both of Pape’s children’s books retail for $9.99. She also has created a K-5 teacher’s guide for Mason Meets a Mason Bee ($19.99). Pape said she is eager to continue performing her puppet show at more schools, books stores, libraries. Dawn Pape is a self-proclaimed “Lawn Chair Gardener” and specializes in intermingling native plants with vegetables and herbs and embraces the concept of “functional” yards rather than just purely aesthetic yards. She practices what she preaches in her own award-winning gardens. Lawn Chair Gardener, LLC was founded by Dawn Pape who has worked in education and the environmental field for over 20 years and has been a Master Gardener for 16 years. The purpose of the company is to promote eco-friendly multi-purposed gardens through speaking presentations and her books. For more information, contact Dawn at 651-485-5171 or dawn@lawnchairgardener.com or visit www.lawnchairgardener.com. This entry was posted in Events, Pollinators and tagged Barnes & Noble, Pollinators, puppet show on September 10, 2015 by Lawn Chair Gardener. This entry was posted in Gardening on March 9, 2015 by Lawn Chair Gardener. This entry was posted in Gardening on December 17, 2014 by Lawn Chair Gardener. 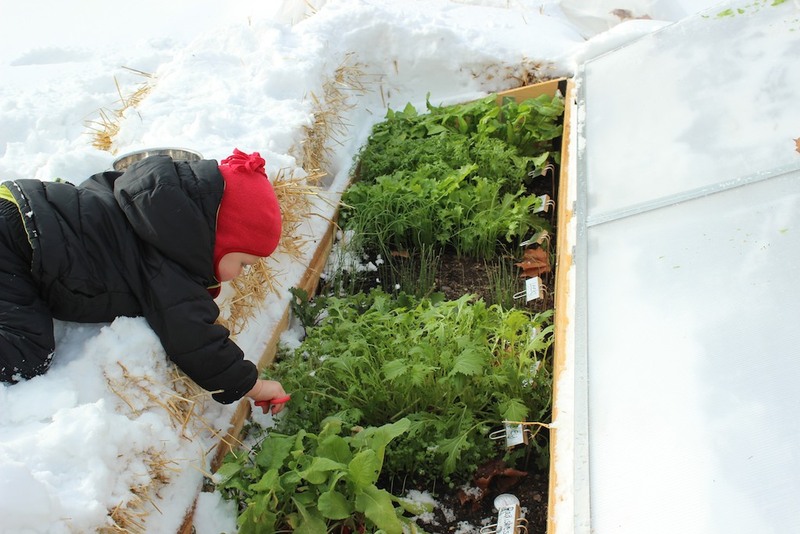 It’s 25°F in Shoreview, but inside my covered garden it’s a delightful 83°F—and I just harvested arugula, baby kale, spinach and tatsoi for a savory salad. When I tell people about my new covered gardens, reactions range from excited (‘Wow! I didn’t even know that was possible!’) to absolutely bewildered. I have several reasons why I have extended my gardening hobby into the winter. Namely, I enjoy growing healthy food for my family and reducing our carbon footprint by eating locally. I also get an emotional boost from seeing vibrant greens against the snow. And, I always love a challenge. 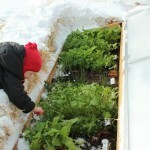 Anyone can plant during fair weather, but can I keep this garden going all winter? This entry was posted in Gardening on December 10, 2014 by Lawn Chair Gardener. The dirt: Bees, trees, stones and more | Star Tribune. 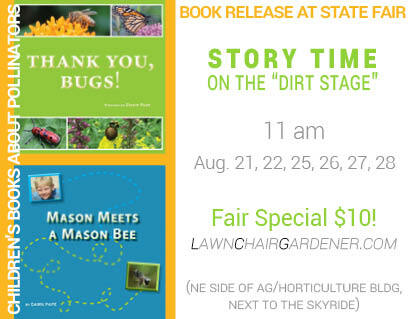 This entry was posted in Events, Pollinators and tagged Books, MN State Fair, Pollinators, The Dirt Stage on August 20, 2014 by Lawn Chair Gardener. This entry was posted in Clean Air, Clean Water, Events, Gardening, Pollinators on August 15, 2014 by Lawn Chair Gardener. 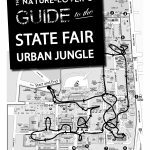 State Fair Book Release (x2)! 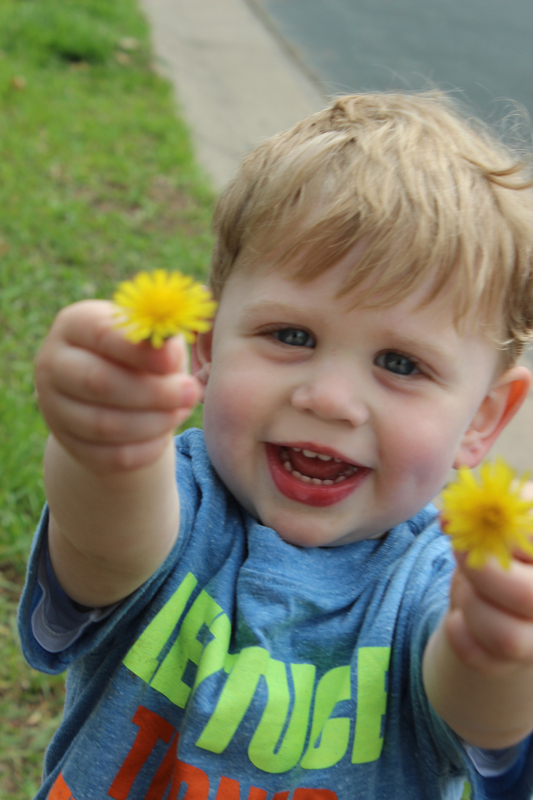 If only we could bottle my son’s excitement about dandelions and sprinkle the potion on the “old school” yard maintenance crowd who still regards dandelions as weeds. That’s right, dandelions are increasingly being considered an early spring flower critical for the survival of honeybees. In early spring when there are few flowers available for foraging, perhaps the single most valuable early spring wildflower is the dandelion. If a honeybee hive survives the winter, beekeepers know the bees will be safe from starvation if they can stay alive until dandelions bloom. Dandelion pollen is moderately nutritious and the nectar is abundant. It doesn’t normally produce enough nectar to produce honey above and beyond what the bees will use for themselves, (so a person doesn’t generally see dandelion honey for sale), but it gives the bees a huge boost and adds to the health of the hive. Helping honeybees is in our own best interest, of course, since they our nation’s leading crop pollinator. Imagine the labor costs of hiring workers to pollinate the nation’s crops by hand to our produce fruits, vegetables and nuts. While honeybees are clearly not the only hard working pollinators, their recent deaths from Colony Collapse Disorder (CCD) starting in 2006 have captured the world’s attention. To date, CCD has been defined as a series of symptoms, but the cause and the cure remain complex and elusive. But CCD is not the only problem facing honeybees. In 2010, the overwintering losses were at the same unsustainable rates of over 30% but the cause seemed to be less from CCD than from other problems. Habitat loss combined with a class of insecticides, neonicotinoids, seem to be the big cuprits that are making survival for our insect friends a challenge. Neonicotinoids (aka neonics), related to nicotine, attack the insects’ nervous systems. Neonics, are systemic, meaning they permeate the whole plant, including the nectar and pollen and they persist for years unlike other insecticides. The neonics do not kill the insects on contact, but impare the insects’ ability to navigate back to their hives or nests. In addition, insects, like bees, feed on the nectar and bring pollen back to their brood slowly weakening the whole colony with these neuro-toxins making them more susceptible to disease. A very simple way to help honeybees is to refrain from killing or removing the dandelions in lawns. Perhaps all a person needs to do is view the cheery little yellow flower as a desired flower rather than a weed. I haven’t given up on my lawn, I swear. (Although I keep putting in more and more functional gardens so I have less and less lawn.) But I think bees have enough strikes against them these days. If I can help their plight by doing nothing, it seems like a pretty good deal for both of us. I can feel good about enjoying a little time in my lawn chair and not feeling a sense of guilt for not keeping up with up with the neighbors’ with attentive yard care. I am, after all, a self-proclaimed Lawn Chair Gardener. Remember: a “weed” is an unwanted plant. If you want all the plants in your yard, you won’t have a single weed! This entry was posted in Pollinators and tagged attitudes, dandelions, organic gardening, weeds on May 16, 2014 by Lawn Chair Gardener. Read the whole column from the “Lowdown” newspaper. This entry was posted in Gardening on October 2, 2013 by Lawn Chair Gardener. What’s a Lawn Chair Gardener? This entry was posted in Gardening on September 18, 2013 by Lawn Chair Gardener. Remember to add perennials of different colors that bloom all season long to bring in beneficial pollinators to the plans below. This entry was posted in Gardening on August 24, 2013 by Lawn Chair Gardener.